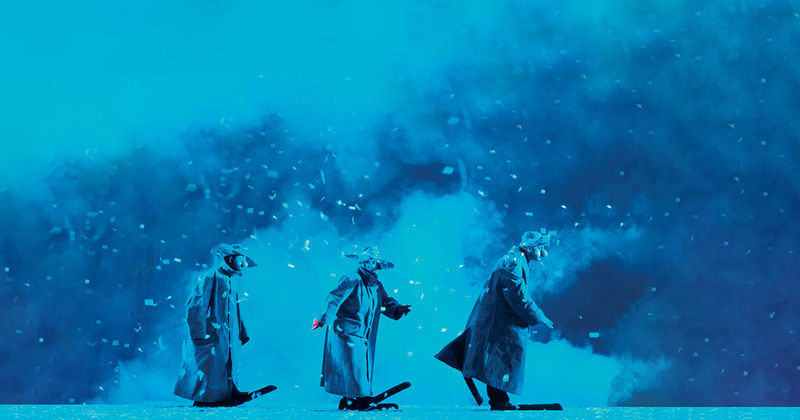 In the 70’s and through the 80’s, well before the existence of Snowshow, Slava Polunin’s theatre company called Teatr Licedei gamboled in Leningrad, USSR. In the beginning, there was Assissiaï – Slava’s character. A clown with many faces, he could be gentle and naïve, and the next moment turn ironic or else resolute and unbending when proclaiming his “Zia!”. Then the idea cropped up that each facet of his persona was indeed a basis for a separate character. 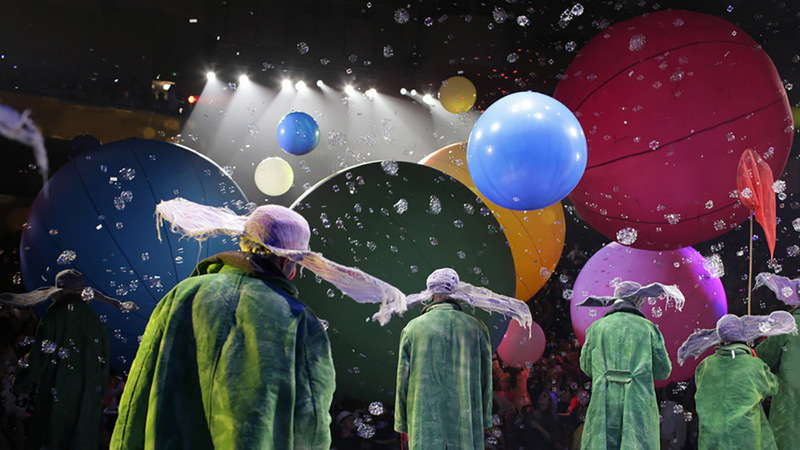 It eventually led to the creation of a troupe of clowns where each participant had a distinctive character, yet was familiar and easily recognizable by anyone in the audience. This mixture of characters became the Licedei theatre (“Those who make faces”). 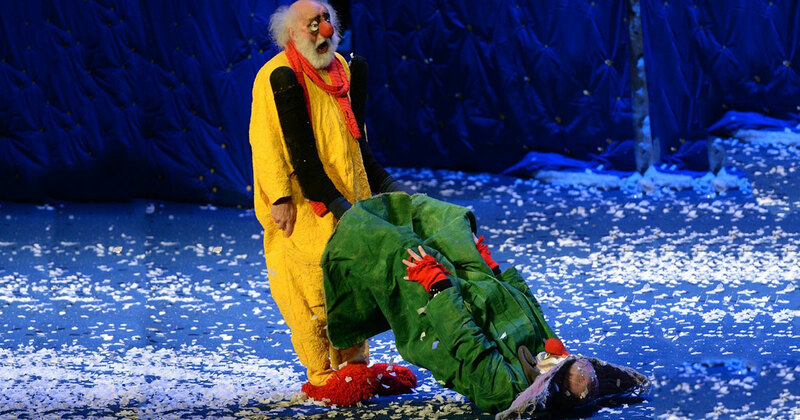 During its legendary 25 years, the theatre became stunningly popular and admired amongst the Russian public and on national television by using clowning to depict the everyday absurdities of life. 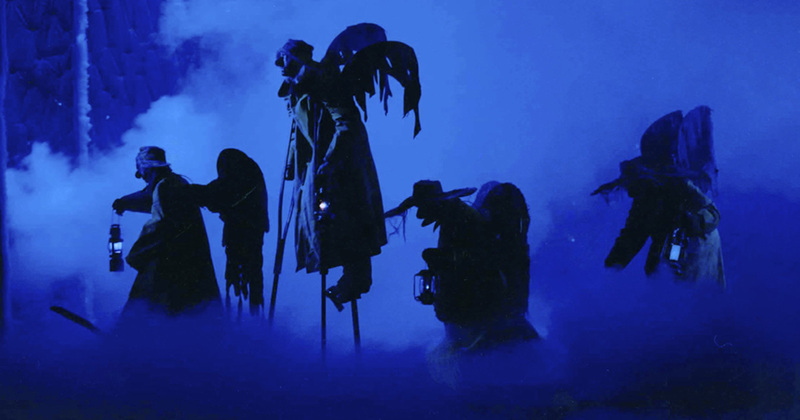 Overtime and following the fall of the Berlin wall, the theatre company became world renown before dispersing in the early 90’s with a very solemnly theatrical funeral session. 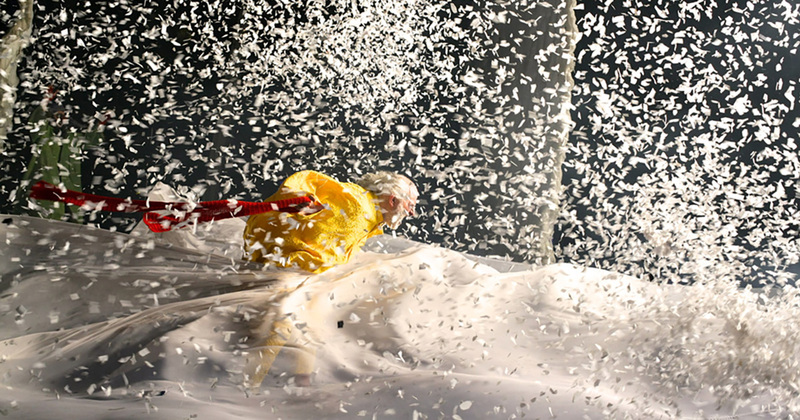 “…One day I realised that I wanted to create a show that would take us back to our childhood dreams; A show which would help spectators be released from the jail of adulthood and rediscover their forgotten childhood. Having chosen the path of theatre, I sought a way to endow it with a new spirit. I wanted to dive inside tragicomedy, to measure the extent to which one can fuse drama with laughter. “I beganto slow down my rhythm, to value insignificant gestures that now seemed to me far more expressive and colourful than pompous or solemn ones. I grew fond of unfinished gestures, interrupted, frozen, as if cut short by a sudden thought. Then, one day, this show came to life. This show is a beloved child, I hope not to part from, for it never ceases to surprise and puzzle me over and over again by the innumerable mysteries it conceals. It can spread joy and sorrow, to entertain and move you to tears. “I went down a roadvery few clowns had trodden before, to extend the tentacles of clownery and foolishness where they were least expected to show up. Diving inside tragicomedy, to measure the extent to which one can fuse drama with laughter – in this Gogol & Beckett-like language and reunite in my character, both the epic and lyrical, tenderness and passion, wisdom and naïveness. “Little by little the outlines of the show began to emerge more clearly in front of our local audiences who would return incessantly to witness the daily changes taking place. We put the show together and realized that it was time to invite our an international audience into the world that we had created. I tried to think where my show might find just the right public; what sort of people and what sort of criticism I was looking for… I took a long time scrutinizing all the options and decided that the most theatrical city in the world was London and that the best venue to start was the Hackney Empire. That’s when we threw all caution to the wind and dashed off to the UK for a three-week stint putting everything on the line: my own money, my career, my family’s well-being… The show was a phenomenal success and we were named the best show of the year”. 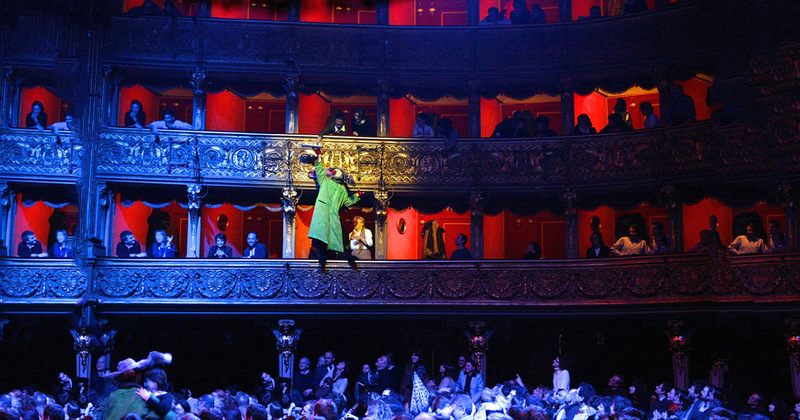 Our first performances in London drew about 200 people at a time… A week in they had to open up the third tier, which hadn’t been used for 50 years. We dusted off the seats and filled them with people. It was getting impossible to find tickets. People were lining up around the block. Finally London critics announced: clowning is back in english theatres. “Whenever we travel to a new country we not only discover new cities, cultures and make new friends but also find out something new about ourselves and the show. We are always looking for the right language that our audiences can comprehend and relate to. And the more we fall in love with audiences, the more we come to admire them, the stronger our connection, the better they understand us, the deeper the emotional response”.